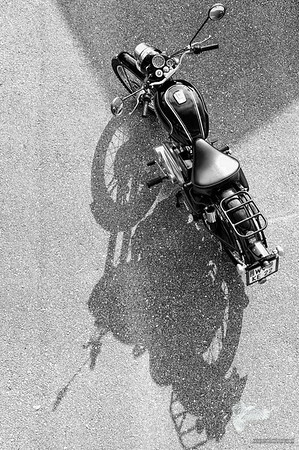 A shot of my Royal Enfield Bullet 500 on a sunny autumn morning. Ready to ride. 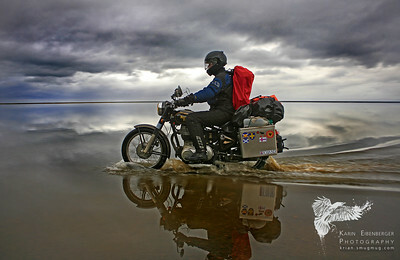 My husband riding through the North Atlantic ocean on his Royal Enfield Bullet 500. 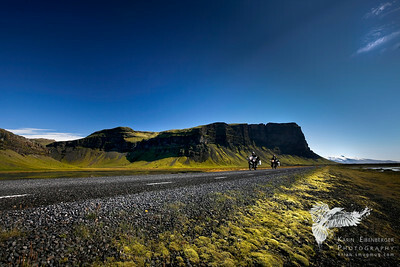 South Iceland. Me on my Royal Enfield. 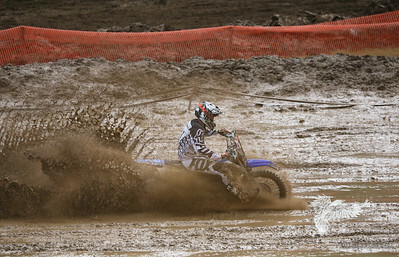 Don't ride like this - always wear proper motorcycle protection. 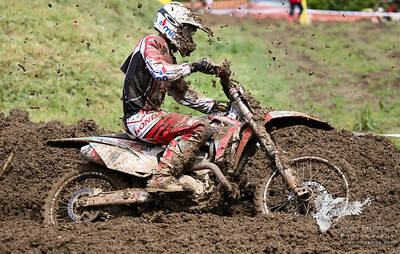 Austrian motocross masters in Weyer. August 2010. Western Fjords of Iceland near Dynjandi. 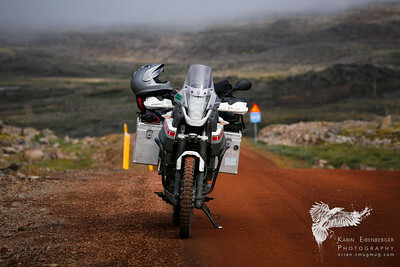 Honeymoon ride of Bernhard and me - this is my Yamaha XT 660Z Tenere bike in competition white and fully equipped. 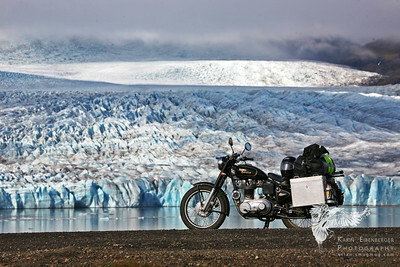 My Royal Enfield in Iceland in front of Vatnajökull glacier. 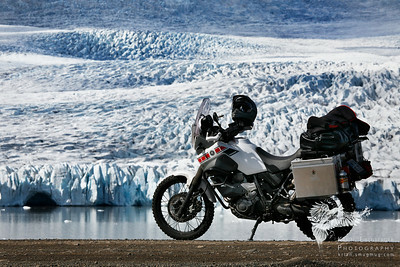 Fully equipped with Touratech aluminum side cases and a huge pack of camping gear. 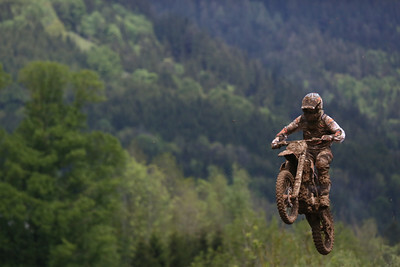 Awesome, awesome ride up there. 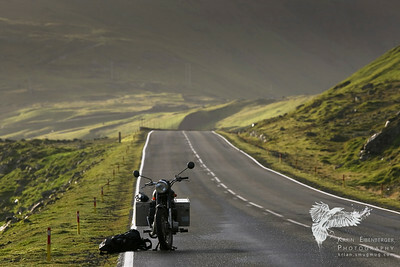 Shot after a rain shower on the Faroese Islands of my Royal Enfield. In the south of Iceland. Me in the front, Bernhard following. Summer 2010. 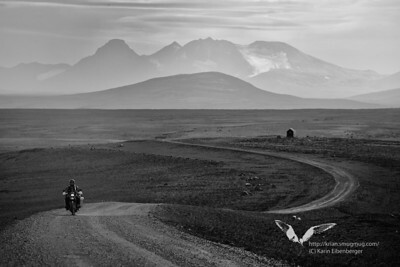 Captured by my tripod and the remote control ;) It was our honeymoon trip - me on my Yamaha XT660Z Tenere and Bernhard on his BMW R80 GS. 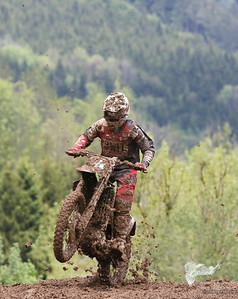 Shot during a motorcross competition in Austria, Weyer. 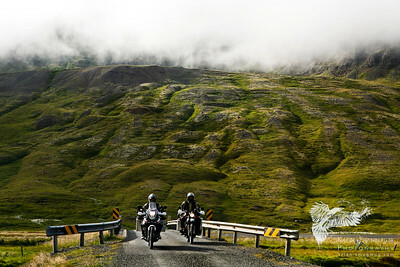 In the Eastern Fjords of Iceland, summer 2010. 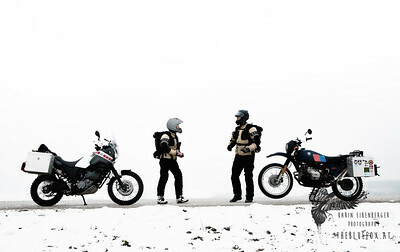 Me on the Ténéré to the left, Bernhard on his BMW R 80 G/S to the right. August 2010. Iceland, glacier lagoon in the south. 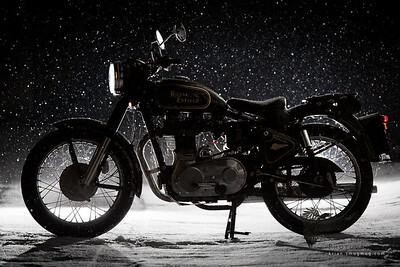 Same spot as two years before with my Royal Enfield. Apple and pear trees in full blossom in my home region Mostviertel. 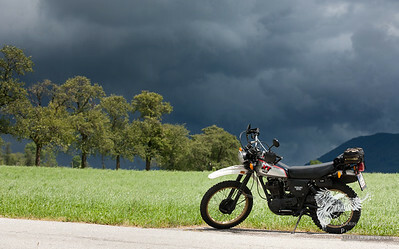 Taking my 1983 Yamaha XT 500A for a ride out. July 2009. Near Gmunden. 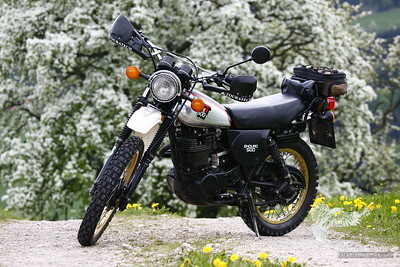 My 1983 XT 500 bike (shortly before I had my first bike accident) - nevertheless, it was a great ride as always. 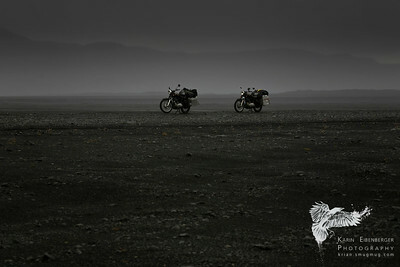 Bernhard and my Royal Enfields in the Icelandic desert. 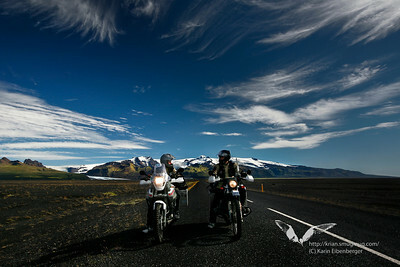 Sout Iceland on our two Royal Enfields. Shot from the tripod. 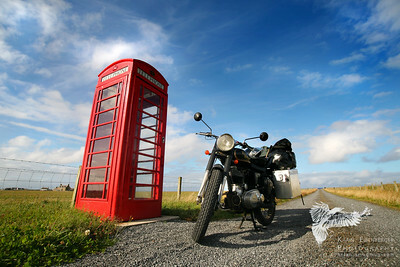 Old classic telephone station and my classic Royal Enfield on our first ever motorcycle adventure to Scotland. 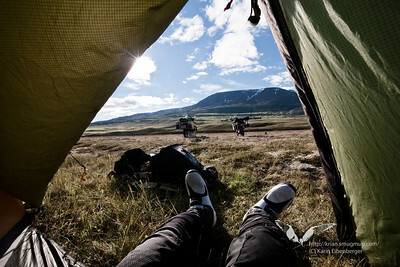 It was so awesome, many more motorbike adventures followed. 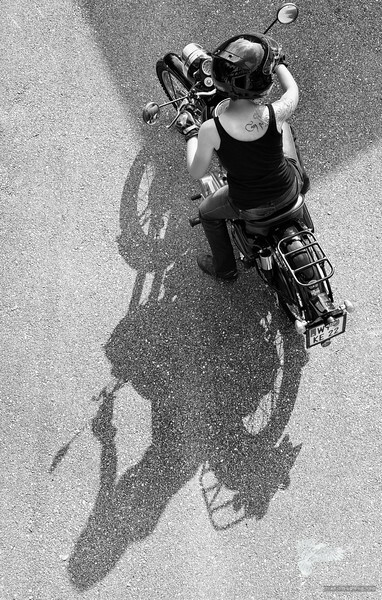 You see things vacationing on a motorcycle in a way that is completely different from any other. In a car, you're always in a compartment, and because you're used to it you don't realize that through that car window everything you see is just more TV. You're a passive observer and it is all moving by you boringly in a frame. On a cycle the frame is gone. You're completely in contact with it all. You're in the scene, not just watching anymore, and the sense of presence is overwhelming. That concrete whizzing by five inches below your foot is the real thing, the same stuff you walk on, it's right there, so blurred you can't focus on it, yet you can put your foot down and touch it anytime, and the whole thing, the whole experience, is never removed from immediate consciousness.